We have just returned from a successful mission trip to the Kogi Indian people of Colombia. With the death of Archimandrite Andrés, the planned seminary in Guatemala will not be happening, but we give glory to God for this new opportunity in Latin America. Before we became Orthodox, Matushka and I were evangelical missionaries in Colombia for ten years, where Matushka’s family had been working since 1964 with the primitive Kogi people, the most traditional of Colombia’s 70+ Indian tribes. My work was to translate the New Testament into the Kogi language. The ten-thousand-strong Kogi have preserved their own language and culture and still wear their traditional white clothing. Ever since we became Orthodox and returned to the U.S., we have felt a burden to bring Orthodoxy to the Kogis. About 100 Kogis have become evangelical Christians over the years, and they suffer great persecution from the rest of the tribe, which is stridently pagan. The Kogi Christians have also suffered violence from Marxist rebels. We have always believed that Orthodoxy would make sense to them, if only they had the opportunity to learn about it. 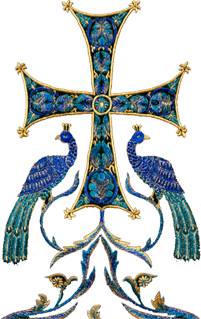 The antiquity and tradition of Orthodox Christianity is likely to appeal to them. After being away from the Kogi for two decades, a door of opportunity opened for us on the sad occasion of Matushka’s father’s funeral this past March. 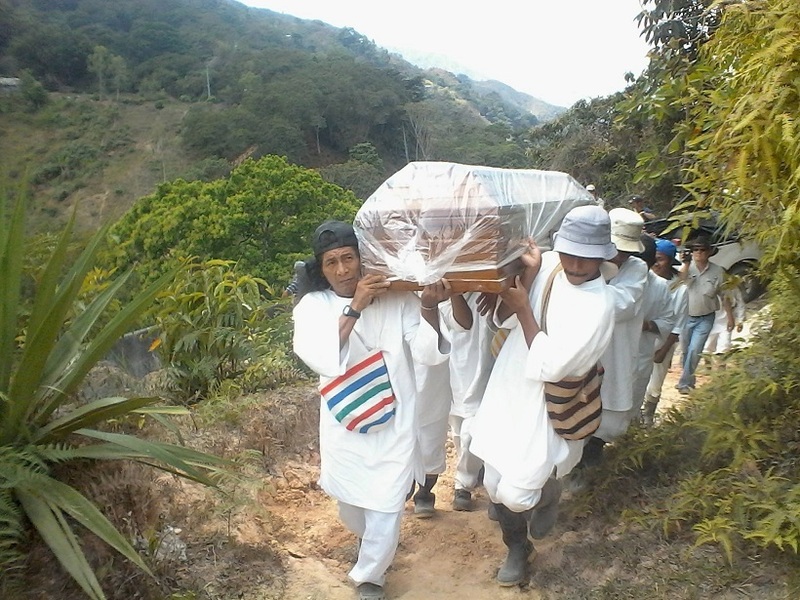 The Christian Kogis arranged for his burial up in their mountain territory. We traveled in a caravan of 4-wheel drive vehicles for two hours up a windy, unpaved road into the Indian reserve. The Kogis had dug a grave in their traditional fashion, with an alcove at the bottom to slide the casket into so that the dirt would not fall directly on it. They had even cut steps into the steep trail up to the gravesite so that Matushka’s mother could make her way up. There are no flat spaces in Kogi country! Kogi burial practices have some striking parallels with Orthodoxy. The grave is oriented toward the east. They have a special memorial on the ninth day. They also prepare special food in memory of the deceased. Clearly, the Kogis’ traditions have more in common with Orthodoxy than with their current non-traditional Protestantism. At the end of the funeral, Matushka and I sang "Aji aluna shuigazhalika nzha" – "Memory Eternal" in Kogi. Juan Carlos Gil, whom we had not seen since he was a boy, is now a grown man with children. He is the pastor of the Christian Kogis. Juan Carlos asked us about the hymn we sang. Matushka told him that it was the first Orthodox hymn ever translated into the Kogi language. Juan Carlos volunteered, "I want all of the Orthodox hymns translated into our language." We learned that Juan Carlos has begun to translate the Old Testament into Kogi. He happily accepted my offer to help him with this project. With the blessing of His Grace John, Bishop of Caracas, we returned to Colombia in April to meet with Juan Carlos and share Orthodoxy with him, as well as discuss Bible translation matters. He had just returned from a gathering of Christian leaders from a number of Colombian Indian tribes who are forming an organization to cooperate and support one another. The timing of our meeting with Juan Carlos could not have been better, since he returned from this meeting with some pressing questions: What kind of "denomination" should the Kogi Christians belong to? What kind of statement of faith should they have? He could see that the Christian Indian leaders of other tribes each had their own theological slant, and there was already trouble coming up with a common creed among them. How could the Pentecostal Christianity that Juan Carlos was groomed in speak to the spiritual needs of tradition-minded Kogis? He did not realize that Orthodoxy would have the answers to all of these questions. We spent two days discussing Church history and theology. Juan Carlos soaked it all up like a sponge. He liked the idea of conciliarity: that the Church is governed by councils of bishops. This is very much how the Kogis govern themselves, with councils of mamas, Kogi shamans. This made more sense to Juan Carlos than the evangelical anything-goes attitude, where each individual decides for himself how to interpret the Scriptures and how to run the Church. He said that this smacked of "Westernization," of which he and other Christian tribal leaders are leery. The idea of oral tradition also resonated with him. He had never understood why the evangelicals who educated him were so opposed to this. Oral tradition is a fundamental aspect of Kogi culture. I showed him a timeline of Church history, explaining how Orthodoxy has remained unchanged since the Apostles, and how all of the Protestant groups that he was acquainted with are recent schisms from schisms from schisms. He asked where Lutherans fit into the timeline. He was shocked to see that even they were a relatively recent development. He told me that he had been to a Lutheran service, and he was attracted by their use of ritual, which makes sense to a Kogi. Evangelicalism is hostile to ritual, which leaves Kogis at a loss. Kogis are serious people, and the happy-clappy style of worship does not fit with their culture, but this is all that the Kogi Christians have ever been taught. Juan Carlos was happy to see that Orthodoxy has preserved ancient Christian rituals intact. When we discussed the Nicene Creed and the filioque issue, he volunteered that the Orthodox view of the Trinity made more sense to him. He was basically making an Orthodox confession of faith! We showed him videos of indigenous Aleut and Maya Orthodox Christians in Alaska and Guatemala, which helped him see that indigenous peoples are at home in Orthodoxy with their languages and cultures. We also talked over some Bible translation issues that he has been struggling with, and since then we have been e-mailing about these matters. Matushka’s family is happy for me to be helping with the translation work once again, and this gives us an opening to keep working with the Kogi. Next month, we will make another trip down to speak some more with Juan Carlos. There is still a lot of ground to cover. While there, we hope to help him get his passport and then try to get him a visa for the U.S., because the next step will be to bring him to the U.S., so he can see Orthodoxy firsthand. Any decision he makes will affect his flock of 100 Kogi Christians, and ultimately the thousands of Kogis who are not yet Christian. Our mission in Colombia is under the omophorion of Bishop John, but ROCOR does not yet have a presence in Colombia. The Orthodox Christian Mission Center (OCMC)’s policy is that missionaries have to work under a bishop of an already-existing Orthodox community in a given country. OCMC understands our call to work with the Kogi people and is supportive. However, they cannot let us use our OCMC funds at this time. Once we have established an Orthodox community among the Kogis, we will be able to access those funds, which have been set aside for our mission work. In the meantime, at OCMC’s suggestion, we are raising funds apart from OCMC. The mission fund at Sts. Theodore Church in Buffalo, NY (of which Fr. Peter was rector until 2014 – ed.) has been a lifesaver in this regard. 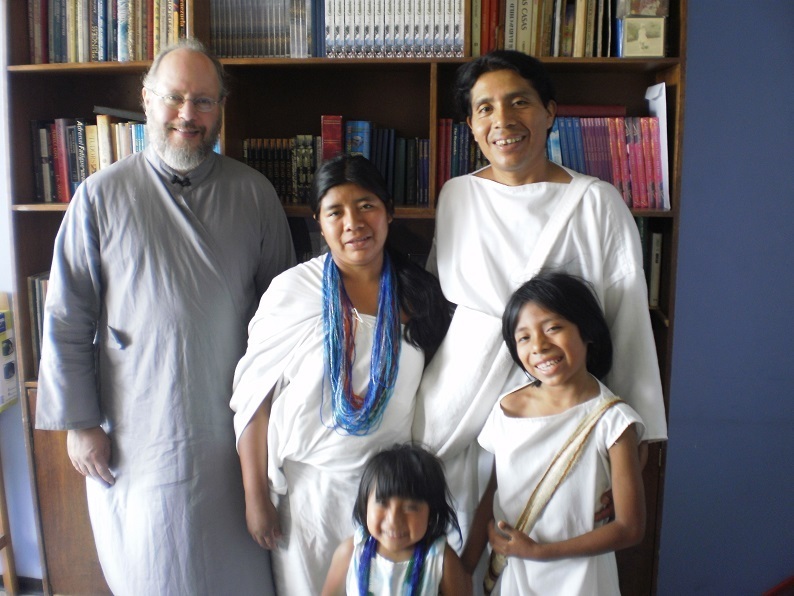 Your support is bringing Orthodoxy to an indigenous people who are hungry for a Christian Faith that is ancient, traditional, unchanging, sober-minded, and conciliar. It is only through your prayers that this important work is able to continue. Checks should be made out to Sts. Theodore Orthodox Church. Be sure to designate "Jacksons Mission Fund."